Floral pairs (great for earrings!) in a black/white base with daisies and roses for the florals. Matching spotted spacers, also in black/white.Approx. 12mm diameter. 4 beads per set. 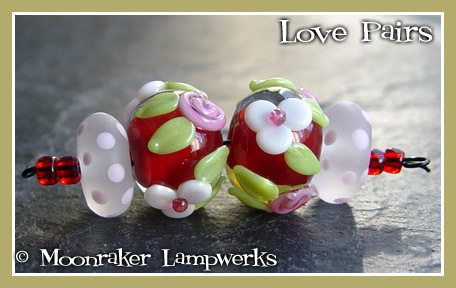 Encased floral pairs (great for earrings!) 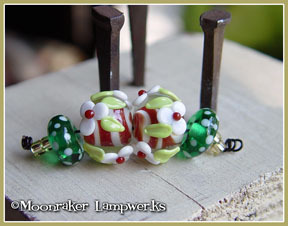 with an encased candy cane look in white/dark red and matching spotted spacers in emerald green.Approx. 12mm diameter. 4 beads per set. Encased floral pairs (great for earrings!) in Christmas colors of green and red. Approx. 12mm diameter. 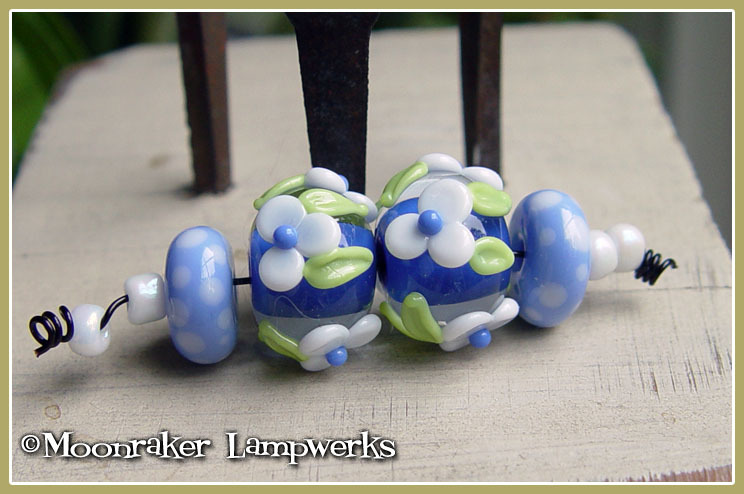 4 beads per set. 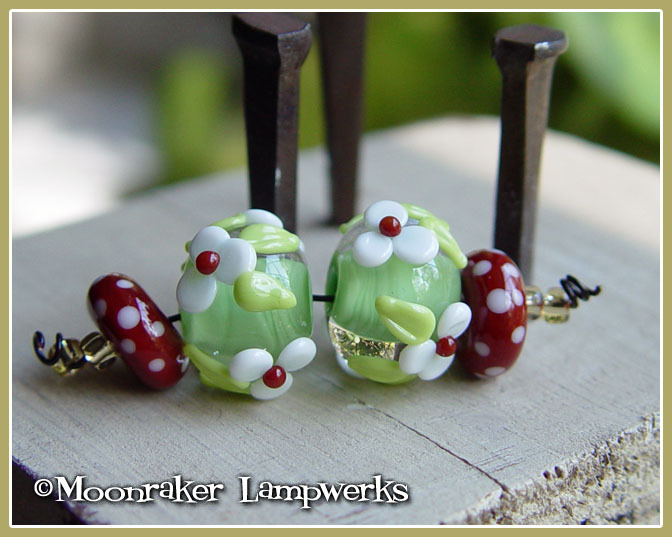 Encased floral pairs (great for earrings!) in 'winter' colors of cobalt blue and periwinkle. Approx. 12mm diameter. 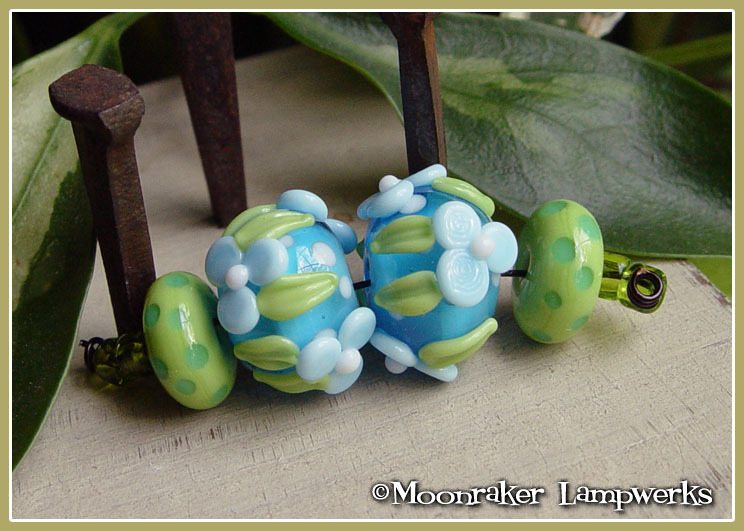 4 beads per set. 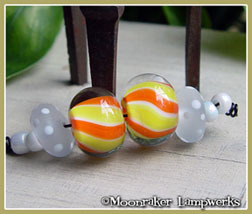 Encased 'candy corn' stripe beads with a pair of etched spacers. Encased floral pairs (great for earrings!) in 'Hawaiian' colors of aqua, baby blue and lime green. Approx. 12mm diameter. 4 beads per set. Encased floral pairs (great for earrings!) in 'Americana' colors of red, white and blue. Approx. 12mm diameter. 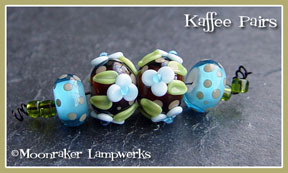 4 beads per set. 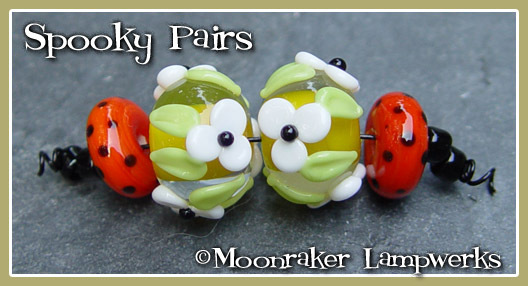 Encased floral earring pairs in 'spooky' colors of yellow, lime, orange, and black. Approx. 12mm diameter on the florals. 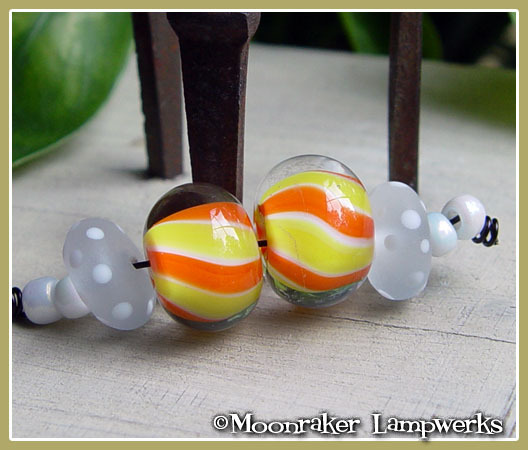 4 beads per set. Encased floral pairs (great for earrings!) in 'Valentine' colors of red and pink. Approx. 12mm diameter. 4 beads per set. Encased floral pairs (great for earrings!) 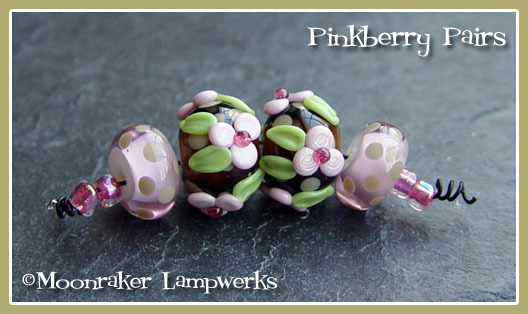 in 'pinkberry' colors of transparent brown, khaki, and pink. Approx. 12mm diameter. 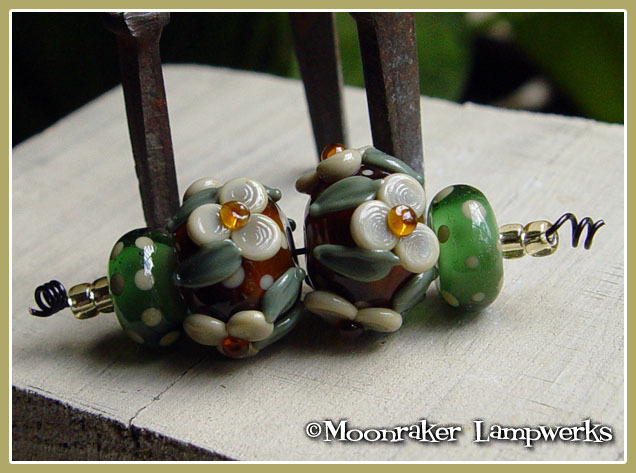 4 beads per set. Encased floral pairs (great for earrings!) in 'kaffee' colors of transparent brown, khaki, and aqua/blue. Approx. 12mm diameter. 4 beads per set. Encased floral pairs (great for earrings!) 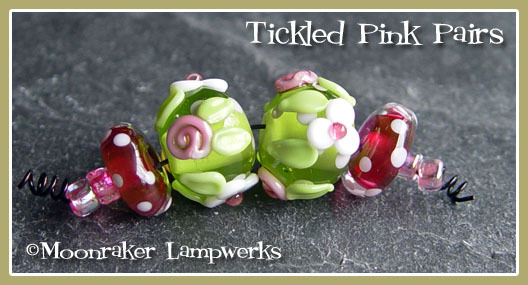 in 'tickled pink' colors of transparent lime and pinks. Approx. 12mm diameter. 4 beads per set. 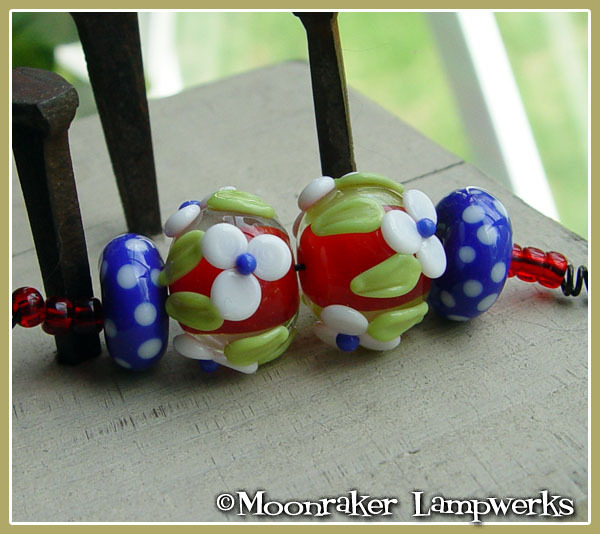 Encased floral pairs (great for earrings!) 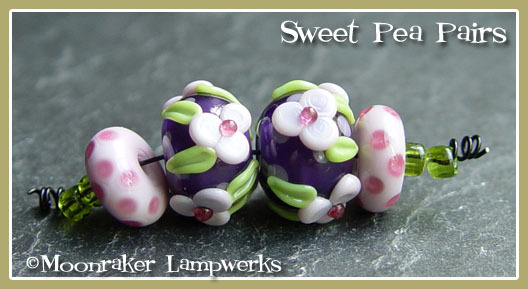 in 'sweet pea' colors of transparent purple and pinks. Approx. 12mm diameter. 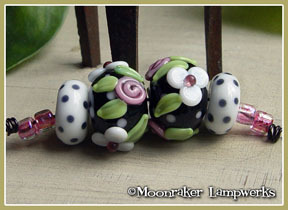 4 beads per set.